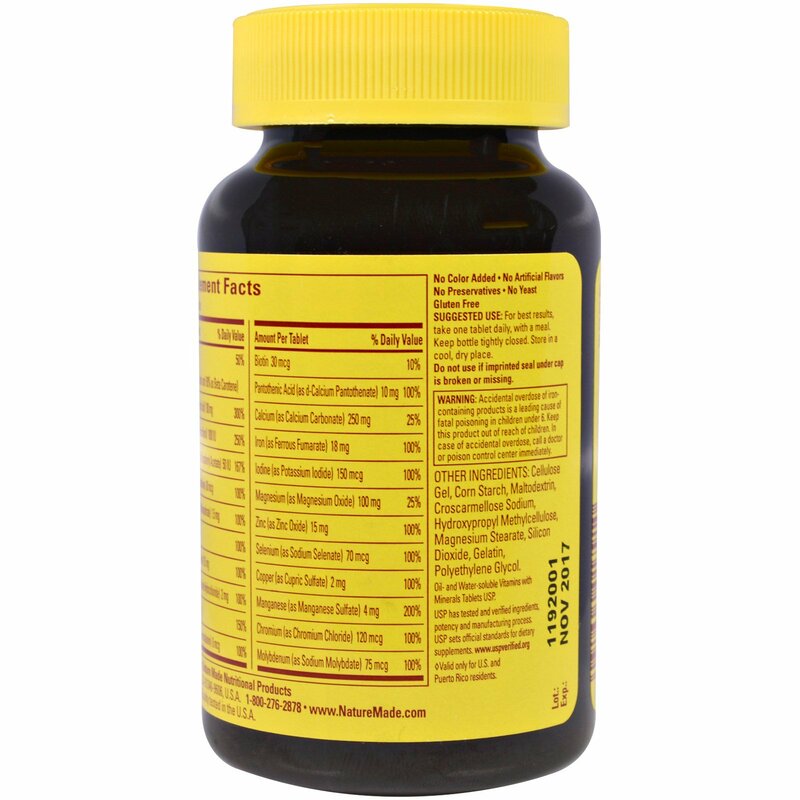 Ensuring an adequate intake of key nutrients is important to promoting overall health. Women have specific health concerns such as bone, heart and reproductive health. 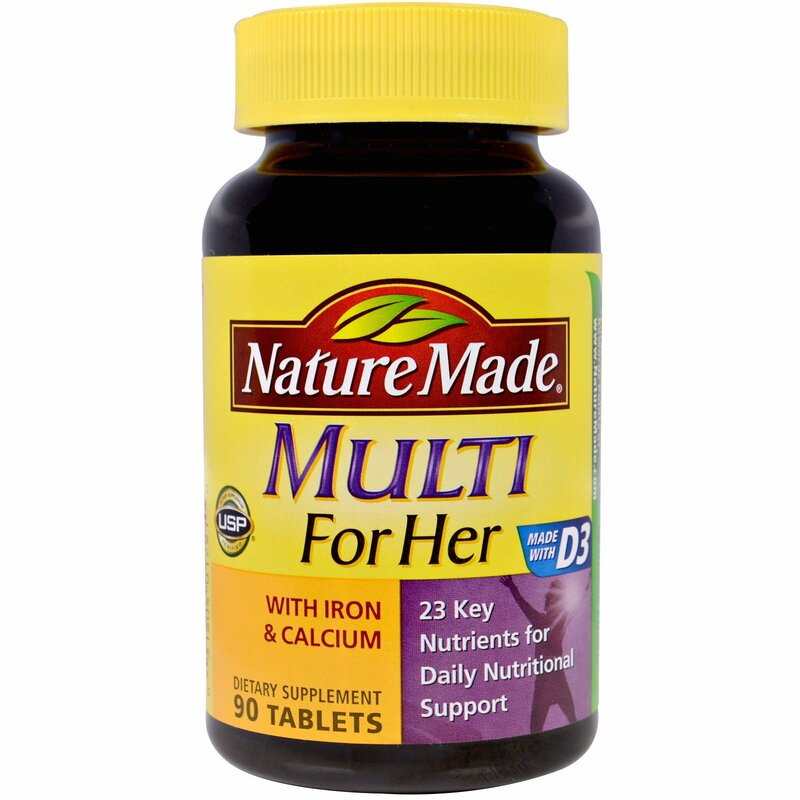 Nature Made Multi For Her is specially formulated with 23 key nutrients support women's health. 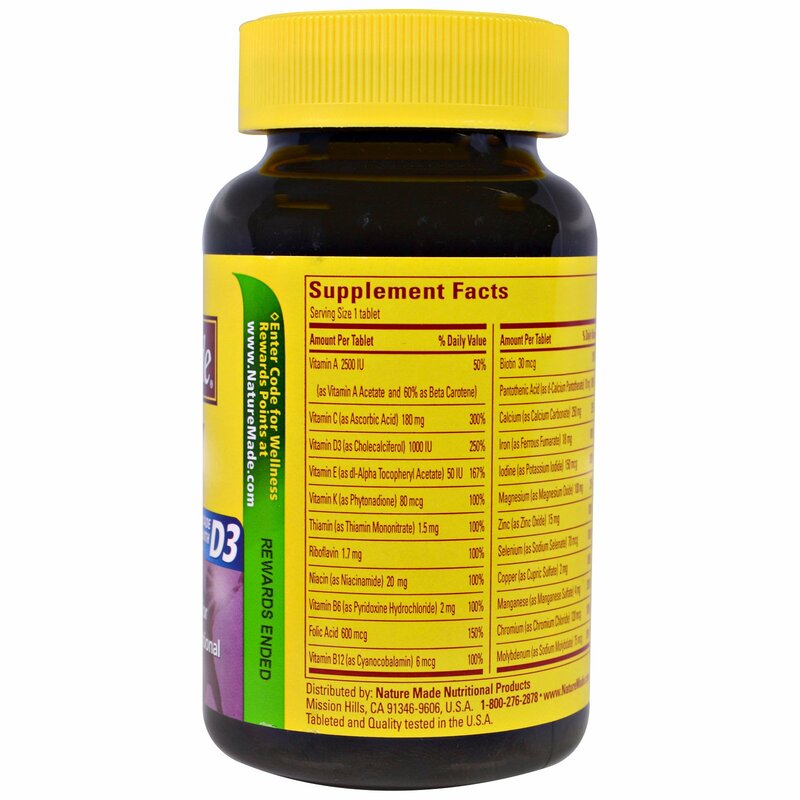 USP has tested and verified ingredients, potency and manifesting process. USP sets official standards for dietary supplements. For best results, take one tablet daily with a meal. Cellulose gel, corn starch, maltodextrin, croscarmellose sodium, hydroxypropyl methylcellulose, magnesium stearate, silicon dioxide, gelatin, polyethylene glycol. Keep bottle tightly closed. Store in a cool, dry place.